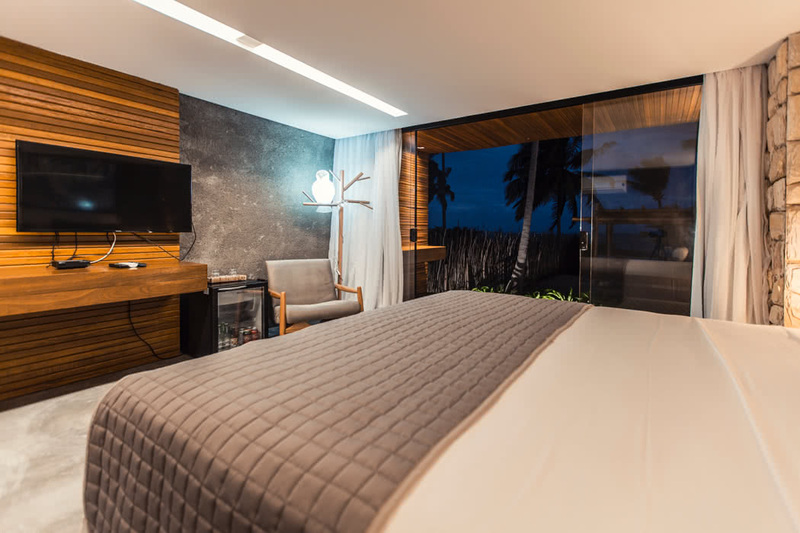 Combining modernity and natural elements, the Pedras do Patacho Boutique Hotel invites guests to experience, not only an unforgettable stay but a sensory, sophisticated and luxe vacation. 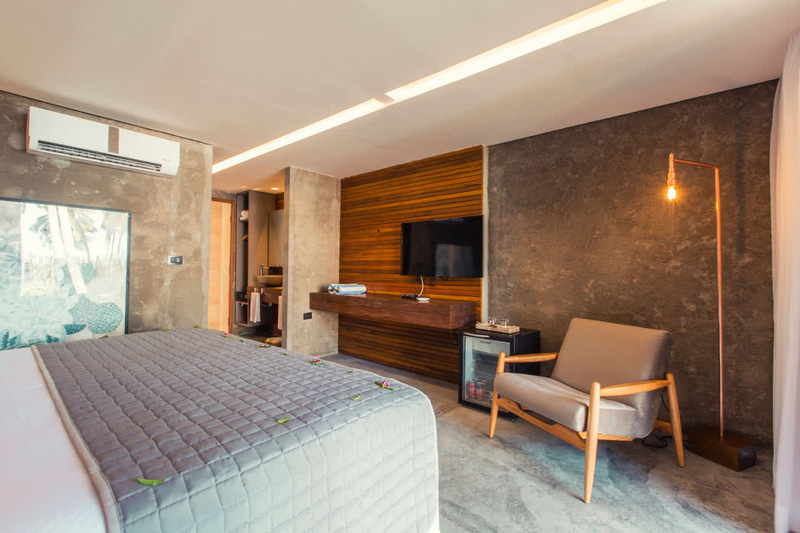 Rated one of the best in Pôrto de Pedras, it’s no wonder that we have the Pedras do Patacho Boutique Hotel on our minds! 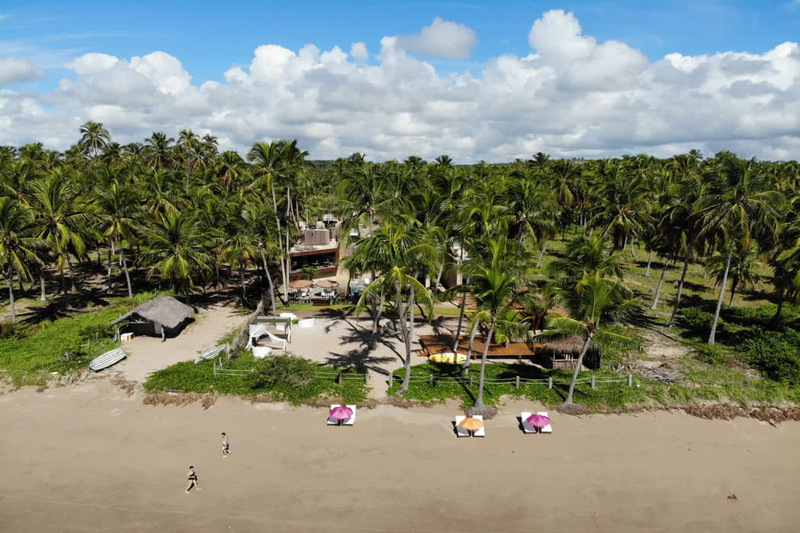 Located in Pôrto de Pedras, Brazil in the middle of the Alagoes Ecological Route, nestled amongst a strip of white sand, warm waters and swinging palm trees, what better place to be than Pedras do Patacho. 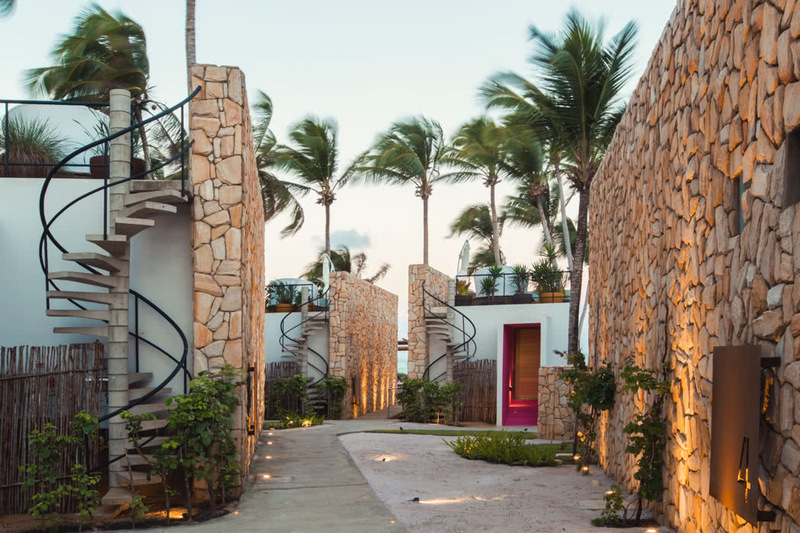 Expect tranquil scenery, walks along the beach, sipping your favourite cocktail and reminiscing to the sound of the crashing waves. 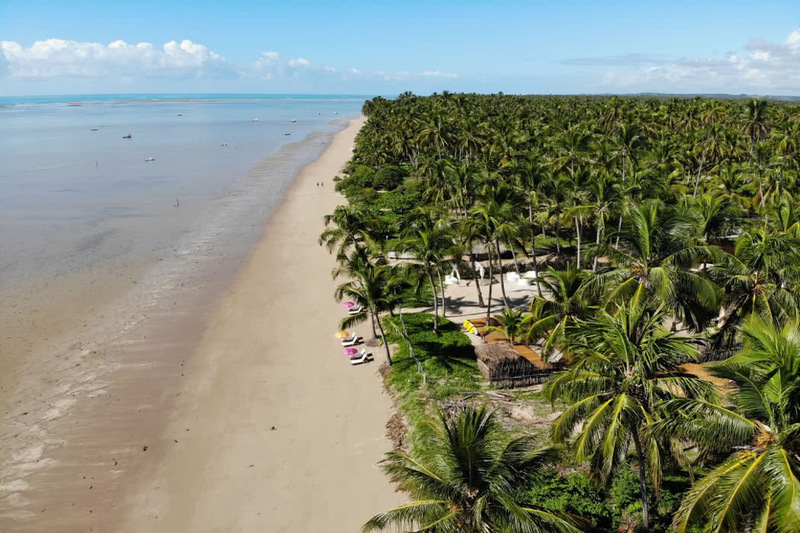 You’re spoiled by a selection of beach choices, in regards to the closest landmarks from: Torque Beach, Riacho Beach, Sao Bento Beach, Maragogi Beach and more. You can be sure to find Pôrto de Pedras, hot all year round. Between November and March, are when the temperatures soar, and can reach a rough estimation of 40°C (104°F). During this time, Brazil has the most rainfall, but storms come hard and fast, and rarely last too long. 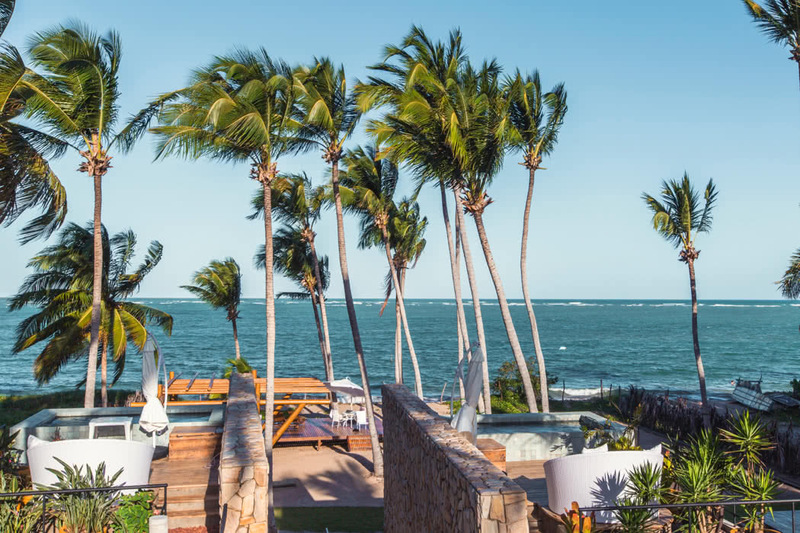 If you want to stay when the weather is slightly cooler, consider the rest of the year. Maceio/Zumbi dos Palmares International Airport is 74.6 miles away, which can be up to an hour’s journey if travelling by car. Flights go from Heathrow (LHR), Gatwick (LGW), and London City (LCY). Journey time can vary from 18 to 24 hours, with one to two stops on the way. 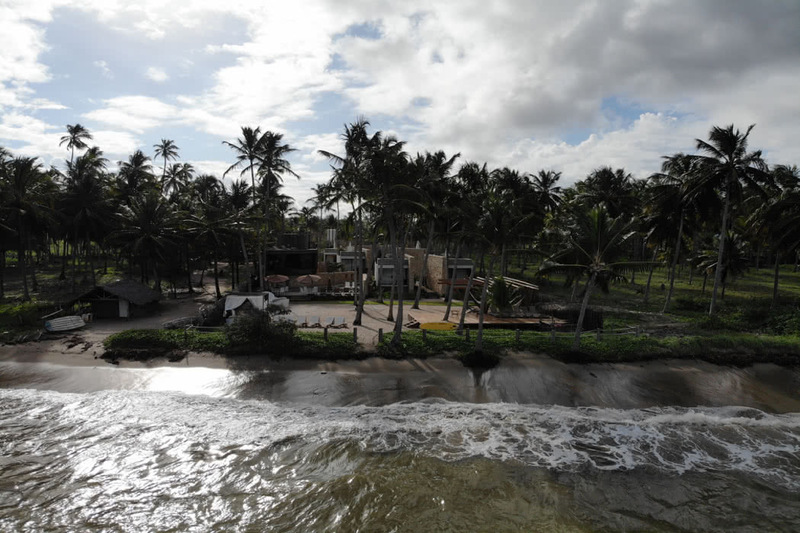 The Pedras do Patacho offers a wide range of services and facilities to cater your every need during your stay. Take a bike ride around the charming location, and explore what Pôrto de Pedras has to offer. When the tide is low on Patacho Beach, the raft ride might be just for you! Bathe within the crystalline waters, and let your worries drift away. Awaken your senses with a wine tasting journey, or cook alongside the hotel’s chef – there are many options to choose from! The hotel has two bars and two restaurants to suit your preference, an outdoor pool, as well as complimentary wifi, parking, and breakfast included. With an extra charge, a massage by the pool may be a worthwhile treat to start or end your day. 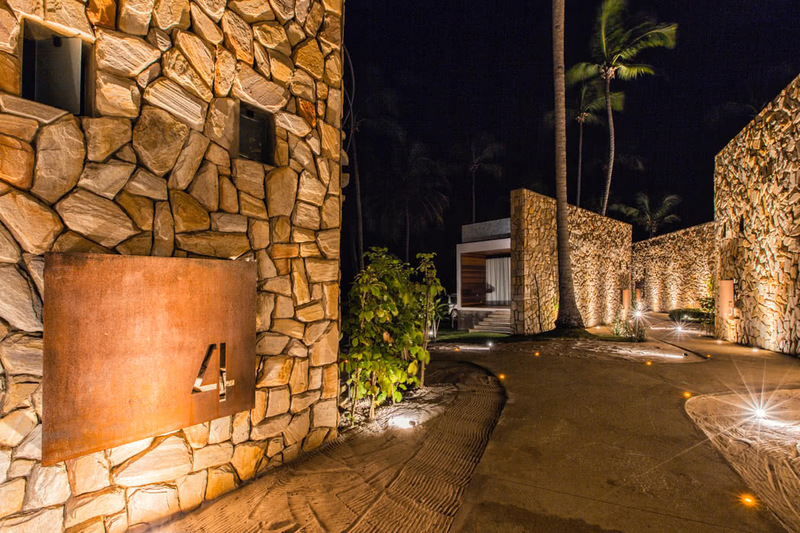 The bungalows feature minimalist and striking architecture, with each facility catered toward giving you a unique and memorable experience. Each bungalow has an exquisite view of the sea, and a private pool. 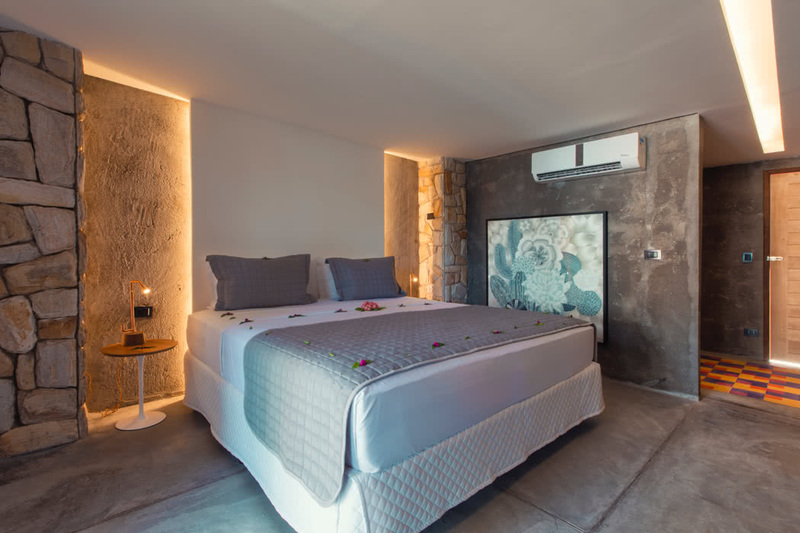 You’ll find other features such as: a king sized bed, private balcony, AC, bath with gas heating, mini bar, cable TV, hairdryer, safe, coffee maker, wifi and furniture signed by renowned designers. 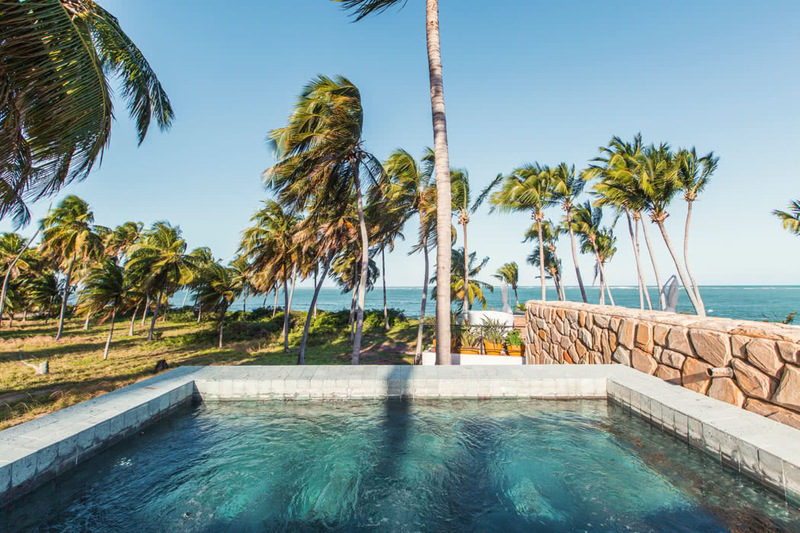 You also have the choice of being tropically transported, into one of the exclusive four condominiums that the Pedras do Patacho has to offer. 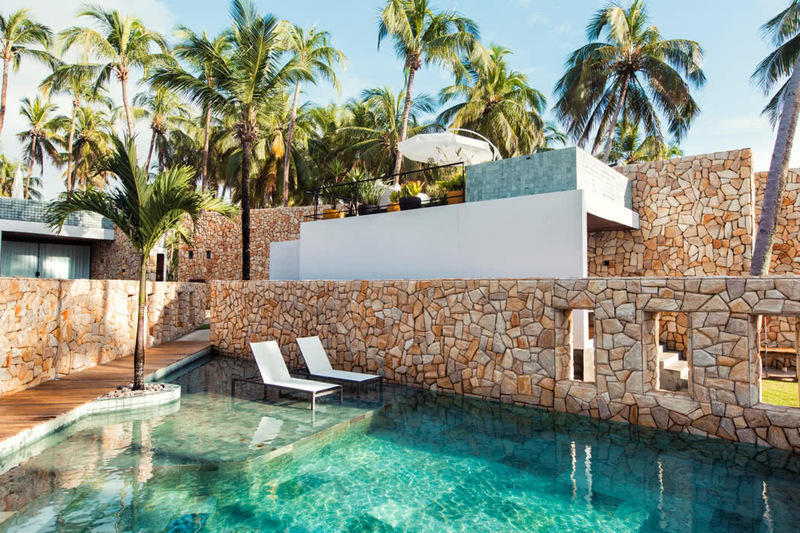 Condominium size ranges from 150m² to 290m², each with your very own infinity pool, and surrounded by luscious greenery and garden – perfect if you’re searching for much more of a private affair. Food is prepared with products taken directly from the hotel’s garden, allowing guests to pick the produce themselves, and take them as keepsakes. Chef Biba Fernandes, experienced in Japanese cookery, fell in love with Peruvian cuisine, which you can find is deliciously served at the Pedras do Patacho. Recommended to try, by previous guests, are the gorgeous mojitos, mouthwatering mixed ceviche, and the divine breakfast. 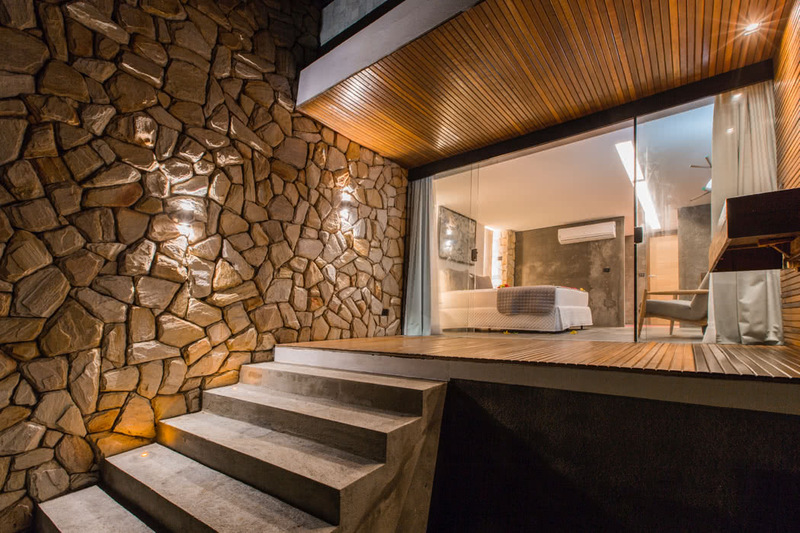 What better way to accompany your visit to Brazil, by booking your stay at the Pedras do Patacho. 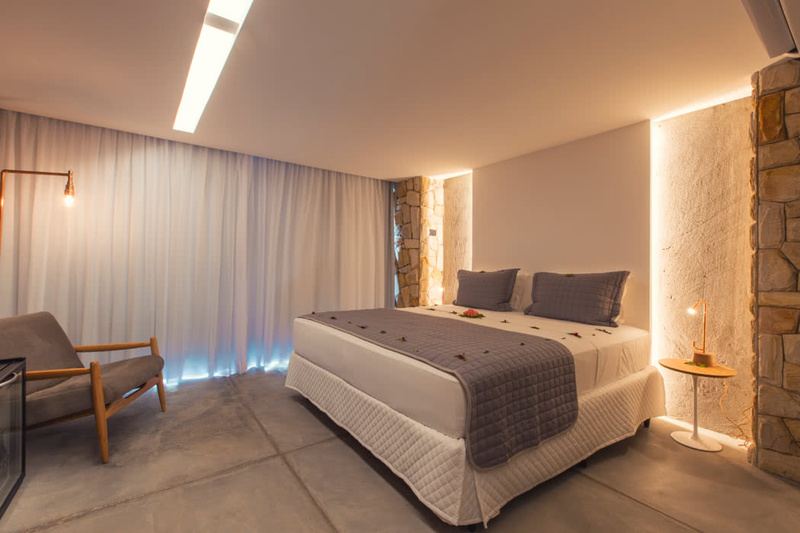 Experience a refined mix of contemporary elegance, matched with the nature of Pôrto de Pedras.